Do you know anyone who owns a timeshare property? We’ve been finding these short but sketchy emails during the last few weeks. 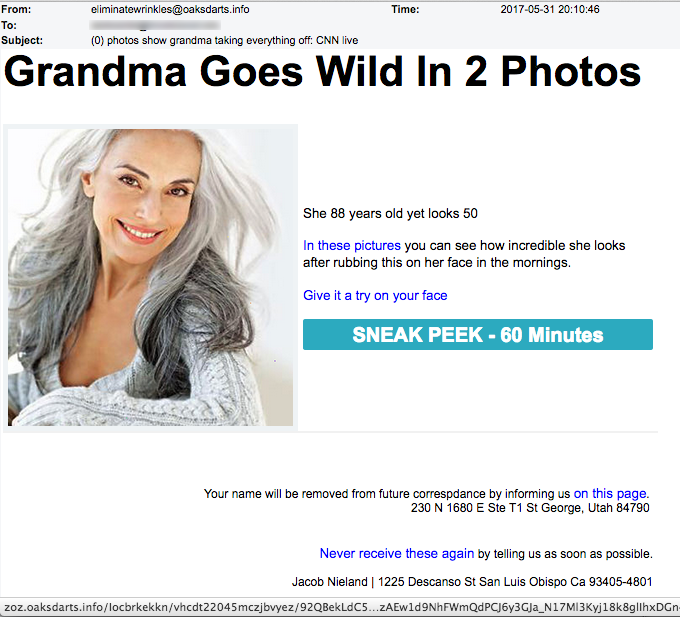 They mostly come from “Cynthia” and “Jodie” and randomly target email accounts, asking if you have a timeshare for sale. Though they contain no links, they ask for a reply. 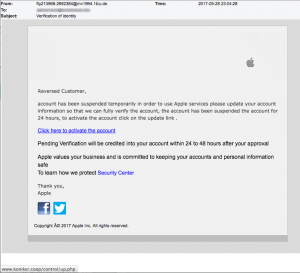 We can’t be certain of their game, but we are 100% certain they are scams. Look carefully at the from address of these three that arrived in our honey-pot email server in the last few weeks. Share this with friends who have a timeshare property and then say deeeleeeete! 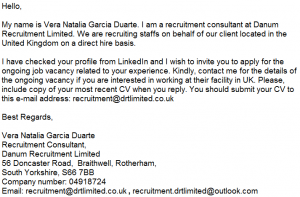 And while we’re focused on questionable, sketchy emails here’s another one for those solicitations looking to hire employees. 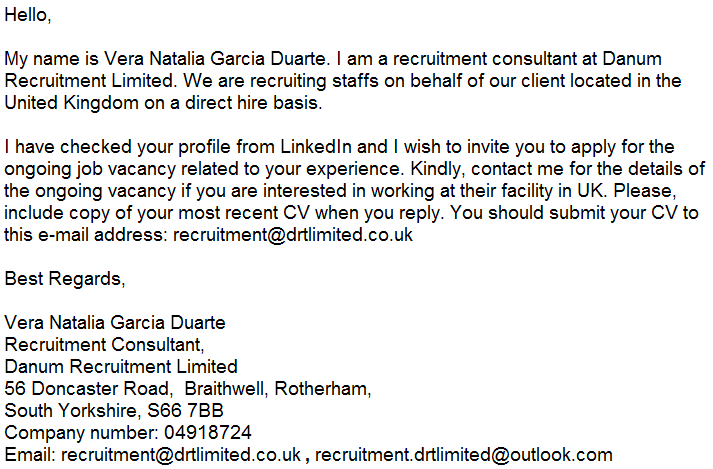 This email came from Vera Natalia Garcia Duarte and she says they “are recruiting staffs” in the UK. She found us through our LinkedIn profile. How nice. 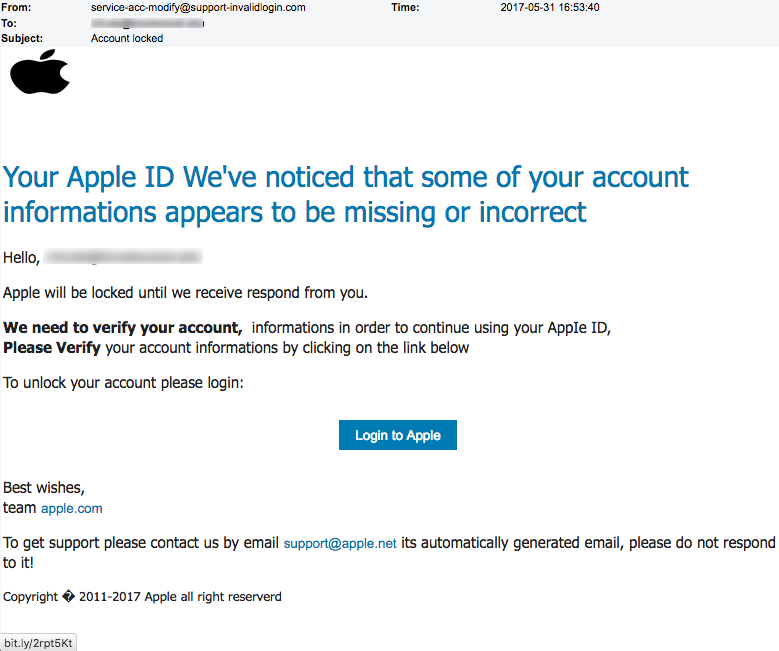 Though this next Apple phishing scam was better designed, there are still grammatical, punctuation and capitalization errors that give it away, in addition to the wrong from address and mouse-over link. 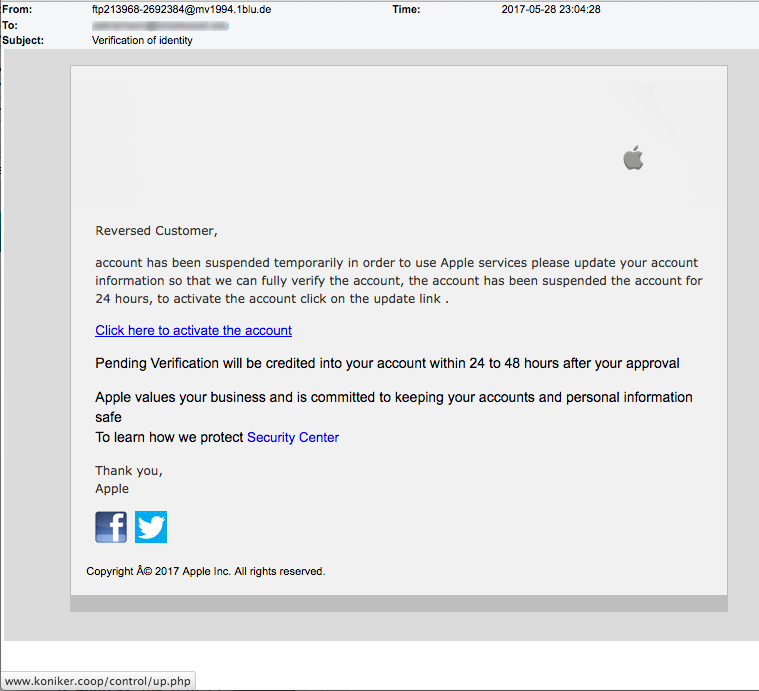 However, the best part of this stupid phish is the greeting… “Reversed Customer.” We can’t help but smile sometimes at the foreigners who try so hard to separate us from our money. 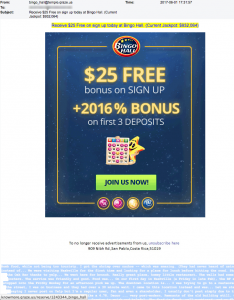 Do you like playing bingo? Did you know that it was invented by an Italian in 1530 according to Wikipedia. 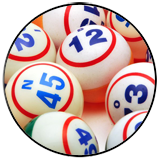 We’re not surprised to learn that Bingo is played online for money at the real website called BingoHall.ag (.ag is the 2-letter country code for the islands called Antigua and Barbuda in the Caribbean.) But before you rush off to the real BingoHall.ag, you might want to read the reviews of some very pissed off consumers and people who say that the site isn’t trustworthy. 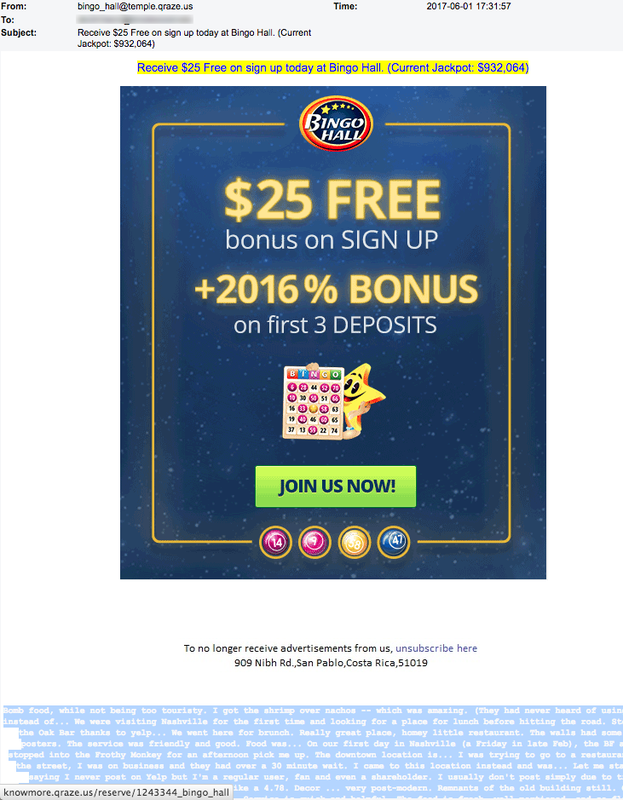 However, this next email actually didn’t come from Bingo Hall. It came from a subdomain (temple) of the domain qraze.us and the links point back to it. Qraze.us was registered just hours before the email came out by someone named “Edik Pendleton” from Benijofar, Spain and the site is being hosted in England. 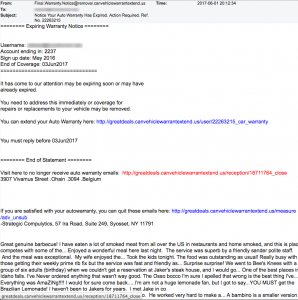 The spammy white text at the bottom of the email came from a Yelp review of Pucket’s Grocery & Restaurant in Nashville, TN. 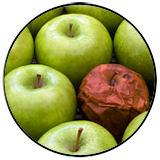 Would you like to give qraze.us your credit card information and open a new account now? From Final.Warranty.Notice @ removal.canvehiclewarrantextend.us comes the subject line “Notice your Auto Warranty Has Expired. Action Required. Ref. No. 22263215” It even offers a username (your email) and an account ending in “2237.” This is as phony as a $3 bill. That long domain canvehiclewarrantextend.us was registered on June 1st by a Garvin Brockman from Bayanzurkh, Mongolia. 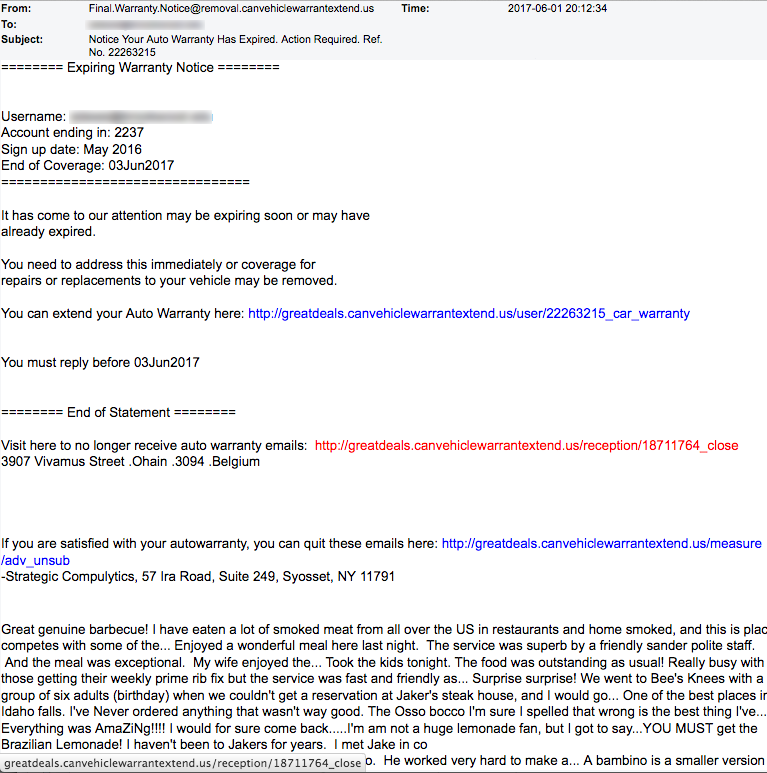 However, we are very interested in the “Great genuine barbecue” review at the bottom of the email! Again, a Yelp review. This one is for a BBQ in Rigby, Idaho called Lil’ Mike’s Smokin BBQ. Sounds great! 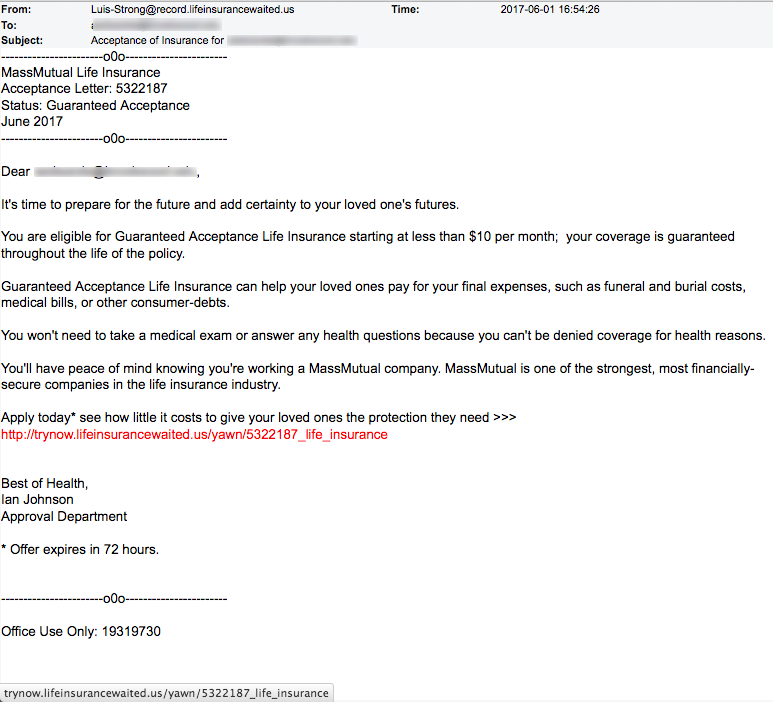 This next offer expires in 72 hours, says Ian Johnson from the Approval Department of “MassMutual Life Insurance.” Yeah, whatever. 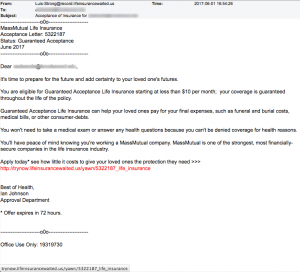 You’ve received a guaranteed acceptance letter for life insurance, starting at less than $10 per month. Can you believe that “you won’t need to take a medical exam or answer any health questions?” That ought to confirm that it’s a scam! But the greatest reveal, once again, is a simple WHOIS lookup of the domain. 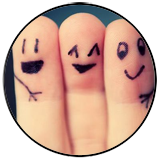 Lifeinsurancewaited.us was registered by Edik Pendleton of Benijofar, Spain! Looks like Edik represents both Bingo and Life Insurance! What a well rounded repertoire. During the last few weeks we’ve been contacted by Dignitaries, International Attorneys and Barristers, Bank Managers, Chairmen and senior staff members of government agencies around the world. And many are waiting at airports for our reply! This most exemplary list of special people even includes Vice President Mike Pence who emailed us as recently as June 3! This is all so exciting and our heads are swimming! Vice President Pence must be traveling because the email came to us from an address in Italy. Apparently he writes to inform us that $20 million dollars is to be delivered to our “humble address” through a delivery agent. Do you doubt us? People, we don’t make this sh*t up! In fact, all of these amazingly special people have money for us. We can’t possibly take up this column with all the good news so we’ll just share the email from Vice President Pence and below we’ll give you a link to a pdf file containing all the other wonderful emails we’ve received recently. Also reconfirm your details for the check delivery by filling the form below and send it immediately to our Email in for verification and for prompt collection of your fund. Office of The Presidency, Nigerian Presidential Complex, Aso Rock Presidential Villa, Abuja-Nigeria. You can pull up a pdf of the emails of all these distinguished people on our website! We’ve reported on the phony IRS scam callers for more than a year now. You can find recorded calls on our website here. These bastards have targeted hundreds of thousands of Americans and made millions of dollars from their high-pressure fraudulent tactics. 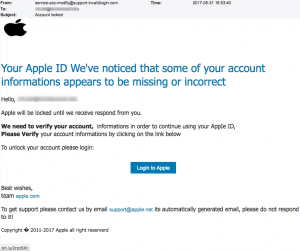 Last October, the Indian government successfully shut down a big IRS scam operation call center and these scams seemed to disappear as a result. Of course, Doug couldn’t resist and he called back to speak to the “IRS agent.” The agent suddenly seemed speechless when Doug turned the conversation to his scam. 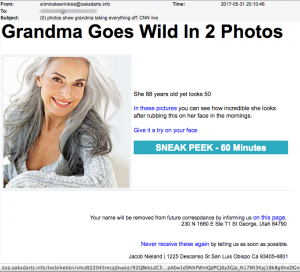 ON THE LIGHTER SIDE: Grandma Goes Wild!